Leave the Tile and Grout cleaning in Montreal to the professionals! With cleanliness being our top priority at Carpet Cleaning Montreal we offer also have the great service of tile and grout cleaning. Whether its your bathtub, floors, shower to kitchen counter tops, the job of cleaning the tiles and grout is an exhausting experience for you if you tackle this job on your own. It involves a large amount of your time and effort to clean the rough surface to ensure that the tile and grout stays clean and are restored to its original color. Our specialized equipment and cleaning products cut through all the years of accumulated grime and dirt to remove this and restore all your tile and grout to the original state. We strive to bring customer satisfaction and pleasure to your cleaning needs. With this satisfaction in mind our highly trained staff is there to assure that your cleaning needs are exceeded and matched with your concerns. 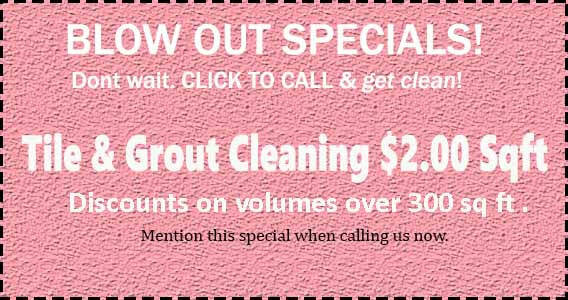 With Carpet Cleaning Montreal at your backing, we are here to serve all of your tile and grout cleaning needs. The process of restoring the grout and tile to its original state and removing the years of accumulated grime will occur in several steps. The first of these steps is the inspection of the area by our experienced and knowledgeable technicians. Our onsite experts know when inspecting the area, the extent of damage on the tiles and grout from wear and tear and are able to determine the exact products and equipment required to restore the tiles to the original color. The outer appearance of these flooring may look clean, but the under layer of the tile and grout could be infected with bacteria. Our experienced techs go to work to restore the grout and tile to its formal glory, leaving a sleek and smooth finish. Once the inspection of the area has been made, Carpet Cleaning Montreal provides the best in cleaning products and equipment to get the job done. 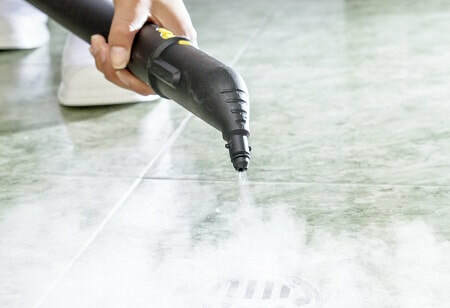 Our highly trained staff, uses a highly effective cleaning solution on the affected area followed by specialized steam vapor cleaning process to temper the tile and grout. In addition, we add a clear sealer that will protect your tile and grout for the future. With this system in place, we are not restricted to any one type of tile or grout. Either old or new, we can bring these flooring back to life. The process of tile and grout cleaning is not an easy process and in particular if you want to tackle this job by yourself. You will be spending your time and energy trying to elevate this problem from your home and the result might not be as successful since the effective cleaning solutions and equipment is not being used. We use all the right equipment and products to provide you with the solutions for your home with ease and comfort. We also provide you with the guarantee for this service. This gives the customer the opportunity to save their time and energy and help them restore their grout and tile back to its original state.